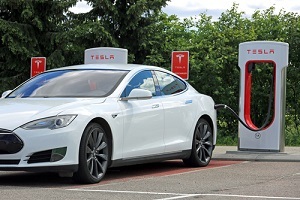 The Tesla Motors Inc. (Nasdaq: TSLA) stock price is plummeting today (Wednesday) on news CEO Elon Musk has proposed acquiring SolarCity Corp. (Nasdaq: SCTY) in a deal valued up to $2.8 billion. The TSLA stock price today sank more than 10% to $198 at market open. Many analysts are questioning the industrial logic and even the ethics of the deal. The TSLA stock price is now down nearly 17% in 2016. Musk is the chairman and largest shareholder in each firm. Musk owns 21.1% of Tesla and 22.2% of SolarCity. Yet Musk excused himself from voting on the proposed deal at the Tesla board meeting at which it was approved. Musk will also abstain from any vote on the SolarCity board. Musk said the timing was right for the deal. That's because Tesla is ramping up production of batteries used in conjunction with solar panels, SolarCity's chief business. Tesla's blog also touted the deal. In a post, Tesla said the companies are a great fit. Both are driven by a mission of sustainability, innovation, and overcoming any challenges that stand in the way of progress. "Tesla customers can drive clean cars and they can use our battery packs to help consume energy more efficiently, but they still need access to the most sustainable energy source that's available: the sun," TSLA said in a statement. The merger would allow Tesla's electric car customers to harness the power of the sun in an "end-to-end clean energy product" as soon as 2017. They also said the deal builds on an existing partnership between the two. Right now, SolarCity utilizes Tesla batteries in its solar projects. Other potential benefits include synergies from cross selling, technical, and cost collaborations. Dramatic improvements in solar technology are also possible. And storage costs will drop dramatically. Merging the two companies will also improve the setup efficiency. "Instead of having, say, three different trips to a house to put in a car charger and solar power and a battery pack, you can actually integrate that into a single business," Musk said. They say the deal would add to the growing complexity and vertical integration of Tesla. It will also add an unprofitable operation to TSLA's already strained finances. A number of firms trimmed their TSLA stock price targets and ratings following the news. Axiom Capital's concern is that TSLA is a high-tech car company that pioneered electric vehicles and battery storage. They view SCTY as a low-tech solar vendor. The firm is also worried about the cash burn at both companies. In May, SCTY trimmed its full-year earnings outlook following a slow start to the year for solar installation. Even the high end of Tesla's all stock offer ($26.50 to $28.50 a share) is below where SolarCity was trading in early May. It is also just half SCTY's value a year ago. The SCTY stock price jumped 10.10% to $23.80 on the Tesla offer. Musk dismissed talks that he is bailing out SolarCity. He said the solar company could easily raise money on its own. Musk also encouraged investors to think long term when it comes to the deal and the TSLA stock price. He sees the potential for a trillion-dollar market value for the merged company that combines a clean energy company offering solar power and electric cars. Earlier this month, long-term investor Ron Baron said in a CNBC interview that Tesla could be a stock to own for the next decade or two. Baron has accumulated a $300 million stake in Tesla over the last three years, with an average cost per share of $210. He acknowledged that he has made little so far on his investment, but as a long-term investor he noted it takes him a while to make money. Money Morning also has a long-term view on the TSLA stock price. The sharp volatility in the day-to-day trading of TSLA shares, common among cutting-edge companies, means the stock is not suitable for short-term investors. At a recent $201.42, the Tesla stock price is down 16.5% year to date. But three- and five-year returns of 86.43% and 637.10% show the TSLA stock price's potential. ZeroHedge: Analyst Slams Tesla's Bid For SolarCity: "This Proposed Acquisition Suggest SCTY Is Worth Little Value"